Dog-Friendly Beaches in the UK - Family Trip Around The World! Travel Blog! When dog owners think about dog friendly beaches to take their canine friends to along with them, what perhaps first comes to mind is simply a beach at which dogs are allowed. The reality is a little different to that, however. Dogs are indeed allowed at dog-friendly beaches (obviously), but what gives a beach the dog-friendly tag is how well equipped it is to provide you as the dog owner with the necessary tools you’ll need to keep the beach clean in spite of the messes dogs can really make. Otherwise, dog-friendly beaches are indeed great to take your dog along to, but you have some responsibilities as the owner to do your bit to keep the beach clean for other beachgoers, many of whom don’t come to the beach with their canines. So the main responsibility is indeed to clean up after your dog and also to ensure it doesn’t compromise the beach experience other beachgoers come to the beach for. What you’ll normally see at a dog-friendly beach is a collection of some strategically placed, special waste disposal bins which are designed specifically to house organic animal waste among other things. It is however up to you to help in keeping the smell of dog excrement to a minimum and in fact to keep the smell away altogether by making sure you scoop it all up and then tie it into a sealable plastic bag before disposing of it in one of the bins made available. This means you’ll need to bring your own dog-excrement bags and perhaps also what is known as a poop-scoop in some parts of the world. Basically, you need to think about the whole situation from the point of view of a “regular” beachgoer who is just out to enjoy an ordinary day at the beach and who perhaps doesn’t have a dog themselves. If you were this beachgoer you’d not want to see a trace of any dog excrement left on any part of the beach, would you? In the same way, you wouldn’t want some vicious or overly excitable dog chasing you all over the beach, so those are some of the things you need to keep in mind when considering how to make sure you keep your dog in check and not deny your canine friend what is otherwise the joy of experiencing dog friendly beaches. 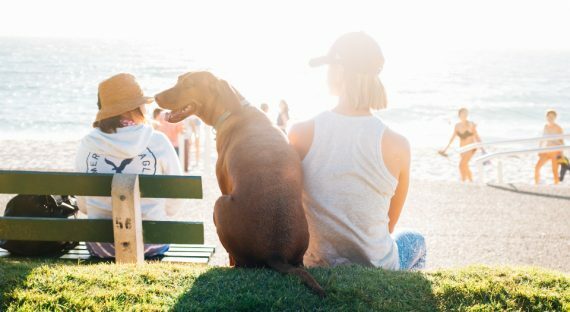 With that said, if you and your furry friend are inseparable and you want him to tag along with you on any beach excursion, you’ll be happy to learn that as it stands there are over 800 beaches which are either fully dog-friendly (351) or allow dogs with some specific restrictions (450).